Dr Suzana Pavic is a senior lecturer in Tourism and Hospitality Management at the University of Exeter Business School. She has a BSc in Hotel and Catering Management and a PG certificate for teaching in Higher Education. In 2010, Dr Pavic gained her doctoral thesis entitled ‘The creation of competitive advantage in SME-s through e-business’ at the University of Sheffield. Her doctoral work adopts a mixed methods approach as it primary tool and the research has a twofold aim. The first, which is the contribution this study makes to the field of Management Studies, is to promote a better understanding of e-business and its role in SMEs. The second, which has the more pragmatic aim of contributing to SMEs, is to find a way of enhancing their business competitiveness via the use of e-business. It builds on previous work suggesting that traditional business strategies, which create competitive advantage, have to be changed in order to facilitate the adoption, implementation and use of e-business technology. An examination of the transition of SMEs from an ‘old’ traditional business strategy to a ‘new’ e-business strategy is at the heart of this study. Dr Pavic has the length and breadth of working experience and has worked in management roles across the Tourism and Hospitality Industry as well as in academic roles at the University of Sheffield, Leeds Metropolitan University and Sheffield Hallam University. She has contributed to, and led, modules at all levels: HND, UG and PG. This was done for both onsite and blended learning, and included the coordination and delivery of bespoke programme at PG level with exclusive enrolment of professionals from industry. These blended learning courses utilised high end e-learning platforms, such as Adobe Connect, WizIQ and Blackboard 9. 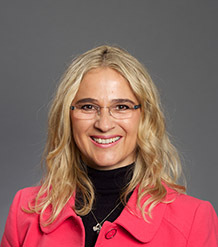 During her career Dr Pavic has organised study schools by liaising with high profile industry researchers and speakers in e-business, ICT and e-learning areas which supported creativity and drove learning and teaching potential to the maximum as well as improving immensely the student experience and learning outcomes. Dr Pavic pride herself on being a ‘people person’ and someone who can communicate at all levels. The diverse nature of the organisations she worked for has meant a need to be flexible in her approach to both teaching and research. In 2013 Dr Pavic joined University of Exeter Business School to contribute to the Management department and in particular Tourism subject group. Dr Suzana Pavic is particularly interested in researching and exploring new ways of creating competitive advantage through e-business in small and medium-sized enterprises (SMEs). Much of her work involves evaluating the need for e-business in SMEs for improving their competitiveness by: (1) identifying the benefits to the organisation, (2) addressing the issues specifically related to supply chain management, customer relation management and e-business applications such as internet, intranet and extranet, and (3) assessing the amount of effort required for the e-business implementation by developing a model. Her research is looking at the implications for SMEs while implementing e-business applications. Dr Pavic was also engaged in a collaborative work and knowledge transfer that involved small and medium size medical practices, design and consultancy catering practitioners and Peak District SME’s tourist associations. This collaboration with research partners resulted in expansion of e-learning research and has recruited two new doctoral students who have particular interest in blended learning. Pavic S, Koh SCL, Simpson M, Padmore J (2007). Could e-business create a competitive advantage in UK SMEs?. Benchmarking, 14(3), 320-351. Could e-business create a competitive advantage in UK SMEs? Purpose: This paper aims to improve the understanding of e-business, competitive advantage and their roles in the UK SMEs. This paper uses case studies to examine what is needed for SMEs to change from an "old" traditional business strategy to a new "e" business strategy. Design/methodology/approach: a range of academic and practitioner literature related to IT, e-business, and different business models is reviewed. Nine case studies were used to collect information from SMEs in the UK. Findings: it may be possible for some SMEs to integrate the internet technology into an overall strategy and this new technology could lead to a competitive advantage. However, owners' attitudes towards new technology, the knowledge and skills of management and the workforce are recognised as potential problematic issues. Originality/value: the results of an academic literature review and nine case studies were employed to construct a prototype of an e-business model named "Competitive Advantage Through E-business" (CATE-b). In that respect the CATE-b prototype model identifies possible e-business application areas and proposes a plan for e-business integration. © Emerald Group Publishing Limited. Pavic S, Simpson M, Koh SCL (2005). Prototype modelling of the novel use of e-business to create a competitive advantage in SMEs. In Zhao F (Ed) Entrepreneurship and Innovation in E-Business: an Integrative Perspective, PA, USA: Idea Group Inc.
Dr Pavic’s teaching interests bound from her research interests and the industrial experience and cover a diverse range of issues that are of real significance to business management researchers and hospitality and tourism managers. Using a range of innovative lectures and assessments, she aims to equip students with the professional skills and aptitude for life outside academia. Dr Pavic’s teaching interests are varied. In the past she has worked and developed a number of different modules ranging from undergraduate to postgraduate levels. Currently she is involved in a range of Tourism modules for both UG and PG students and is developing a new MSc International Hospitality Management Programme starting in September 2016.